Trampling Out the Vintage: Cesar Chavez and the Two Souls of the United Farm Workers. By Frank Bardacke, Verso, 742 pages. Frank Bardacke labored over Trampling Out the Vintage for 15 years. We can be grateful that he didn’t give up. Bardacke explains better than anyone else how the United Farm Workers under the leadership of Cesar Chavez rose in the 1960s to become one of the most remarkable and successful unions in U.S. history but then crashed and burned so breathtakingly fast that by 1990 it had essentially disappeared from the California fields. Today, it is little more than a collection of social service entities that more than one observer has described as rackets run for the enrichment of Chavez’s relatives. Bardacke relies on primary sources: letters, interviews, personal papers, archives, newspaper accounts, court and police records, and his own considerable experience as one of a handful of Anglo farm laborers (he spent six seasons in the fields between 1971 and 1979). In the main, he lets the record speak for itself, avoiding both the apologetics and the rancor we typically find in writings about the UFW and Chavez. Several things set Bardacke’s history apart. First, he pays attention to the farmworkers themselves, to their history of organizing, the nature of their work, and the changes that have taken place in their industry. His descriptions of the skilled, difficult, and body-destroying work of harvesting lettuce, celery, broccoli, asparagus, and lemons are among the most moving and beautifully written parts of the book. They help show that the organization of farmworkers did not spring suddenly from Chavez’s will. As Bardacke shows with scores of examples, California agricultural workers have been doing battle with their employers for nearly 100 years. The skill required to harvest fruits and vegetables, the short time the grower has to get crops harvested, and the self-organization of the workers into tightly knit teams all combined to create a potential power that became reality when conditions were right. Bardacke’s examination of Chavez’s life displays depth, too. Unlike most of the union’s members, Chavez’s parents owned a small farm. It was a huge blow to their way of life when they lost it in 1939 and had to move from Arizona to California to work in the fields. The anger Chavez felt because of this was not the same as that experienced by another UFW stalwart, Gilbert Padilla, who was born into a farmworker family and learned class consciousness at his parents’ knees. Padilla never had the distrust of farmworkers that Chavez had, nor did he embrace anti-communism with the same fervor. Chavez identified more as a Mexican-American (a Chicano) than as a Mexican. The first workers in the UFW were settled vineyard laborers, not migrants. Chavez had a lifelong antipathy for the unsettled Mexicans who soon enough composed the majority of California’s farmworkers. A devout and conservative Catholic, Chavez embraced both the “social action” philosophy of Pope Leo XIII, which recognized certain rights of working people, and the strictly hierarchical structure of the church. 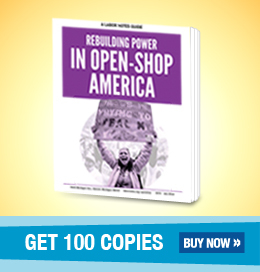 Under the tutelage of Saul Alinsky and Fred Ross, Chavez was able to blend his Catholicism with community organizing techniques to become a master organizer, first in community action groups and then in his union. He came to believe with Alinsky and Ross that organizing could be taught and that the organizer was the critical actor in all efforts to build political power. His superior organizing skills helped build a core farm labor organization, but his training did not serve him when he began to identify the UFW with himself and struggled to administer a large and complex union. Outside the union in the 1960s and 1970s swirled an enormous social, economic, and political flux. As the war in Vietnam raged on, liberalism hit a crisis. Liberals saw themselves as champions of the poor but they could not tolerate war protesters, militant and radical Black and Chicano civil rights activists, or workers who chafed at the boundaries enforced by liberal but autocratic union leaders. These liberal leaders saw Chavez and the UFW’s downtrodden members as their last great hope of resurrecting the New Deal coalition of labor and liberals. Chavez took liberal America by storm. His charisma, leadership, and Catholicism built a fanatically dedicated band of volunteers, including hundreds of farmworkers and staffers who traveled thousands of miles to tell the nation stories of misery and exploitation. People boycotted grapes; they gave money; they came to California to volunteer for La Causa. It wasn’t only the workers to whom Cesar Chavez gave hope. All this is fairly well known. But Bardacke gives us insight into the union’s darker chapters, too. The UFW waged a despicable war against “illegal aliens.” Chavez claimed, with no evidence, that the union was losing strikes or was unable to call strikes because “illegals” were breaking them or would break them. Strategically, Chavez continued to emphasize boycotts even when strikes were succeeding and boycotts had outlived their usefulness. He insisted on fasts and pilgrimages at moments when negotiating contracts and building direct worker power cried for attention. He refused to allow members to establish local unions—and he fired and blacklisted local leaders who had the audacity to believe that the union belonged to the workers and were willing to defy him at a union convention. Chavez believed that only personal sacrifice could make people worthy to lead, and that both staff and members should be happy to be poor. He was sometimes vicious in his condemnation of member “greed,” by which he meant their seeing the union as a way out of poverty. He wanted a movement of workers and staff, living cooperatively and self-sufficiently, with a strict set of rules, like a religious order. He often neglected important union business as he investigated one utopian community after another. Chavez was also a virulent anti-communist, whose constant purges produced useful scapegoats for the union’s failures. It didn’t matter how important to the union a staffer might be; he or she could be dismissed at Chavez’s whim. In the 1980s, the union embraced the cult-like group Synanon, the Philippines dictator Ferdinand Marcos, and other odious figures. While both moves may have strengthened Chavez’s control of the staff and the union, they were disastrous for the farmworkers’ goals. Staffers continued to be purged, others left in disgust, and the union’s liberal supporters were appalled that Chavez cozied up to a dictator. Traveling around the western United States today, as I have for a decade, everywhere you see big profits being made on the backs of poorly paid and overworked Mexican laborers. I doubt that many of them know of Cesar Chavez and the United Farm Workers. This didn’t have to be. The UFW could have become central to the lives of poor workers, and it could have been a catalyst for the rebirth of the labor movement. Herein lies the tragedy that Bardacke chronicles magnificently. Michael D. Yates is the author of Why Unions Matter and editor of Wisconsin Uprising: Labor Fights Back, from Monthly Review Press. He worked as a researcher at UFW headquarters in 1977, and blogs at blog.cheapmotelsandahotplate.org. Cesar Chavez’s iconic status has made it difficult for labor activists to come to terms with the truth about the UFW’s failures. Miriam Pawel’s series in the L.A. Times several years ago - exposing the current UFW leadership for its “enterprises” and its complete neglect of organizing - was attacked by some union supporters as an effort to tear down the farmworkers movement. Labor history is filled with contradictions. It’s better to understand and face reality than to promote fantasies about the past. Although central valley organizing has stopped, the UFW has had a lasting legacy in California, where many veterans of that struggle have gone on to important roles in the state’s labor movement. That’s particularly true in Los Angeles which, in twenty years, has built the most diverse and coalitional labor movement in the nation. I find little in the description of this book that balances my 17 years of work experience with Cesar and the movement. Cesar took on the most powerful anti-worker forces in the U.S. and time after time was able to defeat them. He dedicated many days of work standing alongside the Anti-War movement and Civil Rights, something very rare in a virulent "anti-communist". As an organizer I was taught to organize every farm worker. Most of my committees included the undocumented and we all knew that to be successful we could not exclude or discriminate against any worker. .It is very easy to write about people who took on organizing but very difficult to be one. Do I disagree with some of Cesar;s decisions? Yes. But no one in the movement worked harder or was more successful. By the way, Dolores Huerta at 81 is still working with the grass roots. Viva la Causa!